'Best Vacation Ever' Say Our Guests! Luxurious & Affordable! You will love this luxurious, air conditioned, two bedroom, two bath, 1300 square foot Villa! Fully furnished, with its own spacious, private dining lanai, this unit is immaculate and impeccably maintained. This unit offers wide open living space to accommodate up to six, yet intimately relaxing for two. The large air-conditioned Master Bedroom features a king-size bed and a comfortable sitting area within the Master Bedroom for reading or relaxing plus a large flat screen HDTV television. The large Master Bath features a double vanity, walk in shower and separate bathtub. The Second Bedroom features two twin-size beds (which can be converted to a king configuration), separate entry, microwave/mini fridge, air-conditioning, eating area (which can accomodate up to 4 people), large flat screen HDTV television, dresser, and closet. The Living Room is luxuriously furnished and spacious, fully air conditioned, with views overlooking the tropical flora and Swimming Pool at the Grand Champions Resort. Also included is a large flat screen HDTV television. The Dining Area is spacious and features table and seating to accomodate up to six people. The kitchen features all stainless steel appliances including dishwasher, range, microwave and side by side refrigerator with filtered water and ice in the door. 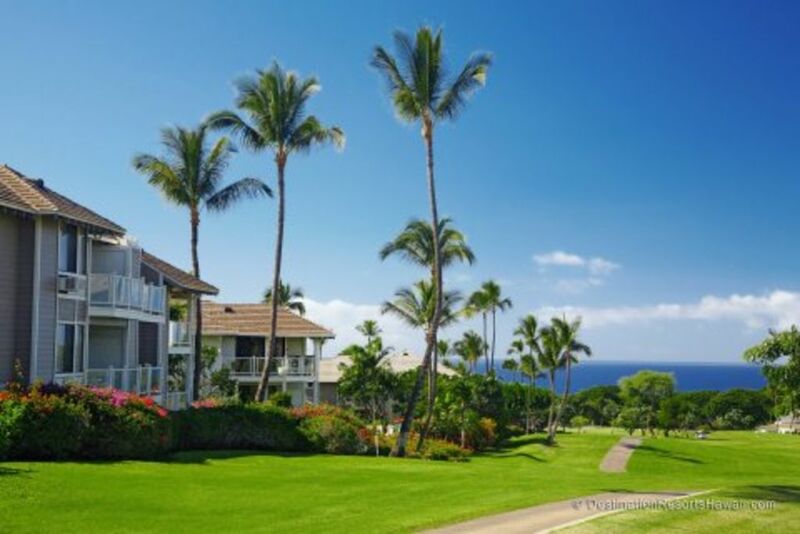 Located in the prestigious area of Wailea, the Villas are within walking distance to some of the most pristine beaches of Maui, five star dining restaurants, and delightful shopping. Luxurious and delightful comfort will be yours in this lovely vacation villa! I am an individual owner of this vacation villa. Grand Champion Golf and Tennis Villas is zoned in the resort/hotel zoning of the Gold Coast of Wailea/Makena and is a legal vacation villa. I have been associated with VRBO for over 16 years (and was one of their first listings, as evidenced by my low VRBO listing number). My best customers are my returning guests, many of whom return annually to their "home away from home". From the time you enter this villa, you will feel right at home, with all the comforts of your home provided. Every amenity has been provided, from fresh coffee to laundry soap, all you will need for your Maui get-away is your roll on suitcase! This villa is safe and well prepared for our visiting guests. From beach gear to on site security and a management office to address any concerns, you will feel that this is the right villa for your special holiday. Stainless steel appliances, side by side refrigerator with filtered water and ice in the door. HDTV Flat Screen Televisions in master bedroom, guest bedroom and living room. Great spot, great place, great extras at this wonderful condo. We have been lucky enough to stay at many AirBnB and VRBO places around the world. This Maui Grand Champions pool side place is one of the best we have ever found! Great supplies in kitchen. Thank-you for GREAT supply of GREAT coffee! Snorkle gear, towels, brand-new washer/dryer, very clean. Walk mere steps with your kids to the kid friendly Grand Champions pool. Marco Polo.... Thank-YOU for a listing a great place. Thank you Karen. Condo was well equipped and we thoroughly enjoyed our time at Grand Champions. The Condo is a great choice, any extras you could think of are provided. We thoroughly enjoyed our week there. Our family thoroughly enjoyed this rental. The provisions are way above adequate. The master bed was very comfortable! The kids enjoyed the pool right at our footsteps! Mahalo Karen! Hope we can return again. We were so comfortable during our 10-day stay at Grand Champions 46. The place was clean, the beds were comfortable, the showers and kitchen appliances worked well! Our host, Karen Spencer, was generous beyond all expectations with supplies like paper goods, coffee, cleaning supplies, beach toys. Usually I have to buy kleenex and even toilet tissue - not here! Also, Grand Champions is my top choice for a quiet and beautiful place to stay, a bit more expensive but not luxury-priced. Condo was clean and spacius. Great location. Consistently rated as the gold coast of Maui, Wailea does not disappoint. Whether it is white sand beaches, snorkeling, whale watching or relaxing taking in the breathtaking views, this villa is in the perfect location!